3 Office Spaces available! 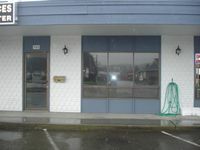 Excellent central location near Olympic Medical Center. Fourth office is currently occupied with a Marriage and Family Therapist so similar professions would be ideal but not required. All utilities plus internet and fax line included in the rental price. Recent updates including soundproofing, paint, flooring, etc. Shared entry, waiting area, and ADA compliant restroom. Additional breakroom space is available for use upstairs. Off street parking is accessible off the alley. Ready for you to move in and get right to work! Conveniently located office space on Front St with excellent exposure! Water/Sewer included! 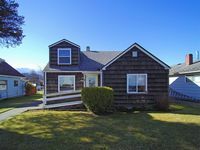 MLS ADDRESS 805 W 8th St.
Charming Crafstman style home in a convenient West Port Angeles location. Downtown entertainment and services, shops, restaurants and bus line are all nearby! Fenced backyard offers privacy with convenient alley access! Ductless heat pump/AC, mountain view and peek-a-boo water view too! Detached 2 car garage. (**Approx 10'x10' not accessible). Easy maintenance yard with raised bed in back. More pictures coming soon. Open floor plan with propane fireplace featuring built in storage benches. 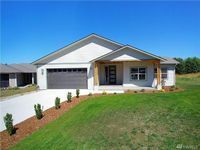 Durable waterproof laminate flooring, ductless heat pump, quartz counter tops, subway tile back splash and large farm sink with stylish lighting and island breakfast bar. Master suite features walk in closet, and on-suite bath has dual sinks. W/D hookups with sink in utility room. 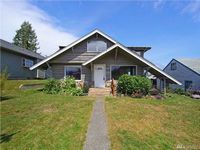 Nice covered front porch with Douglas Fir post and beam entry on .22 acres, back porch is covered Trex deck. Nicely landscaped with an easy to maintain yard. **Small dog may considered on case by case basis with additional non-refundable pet fee.